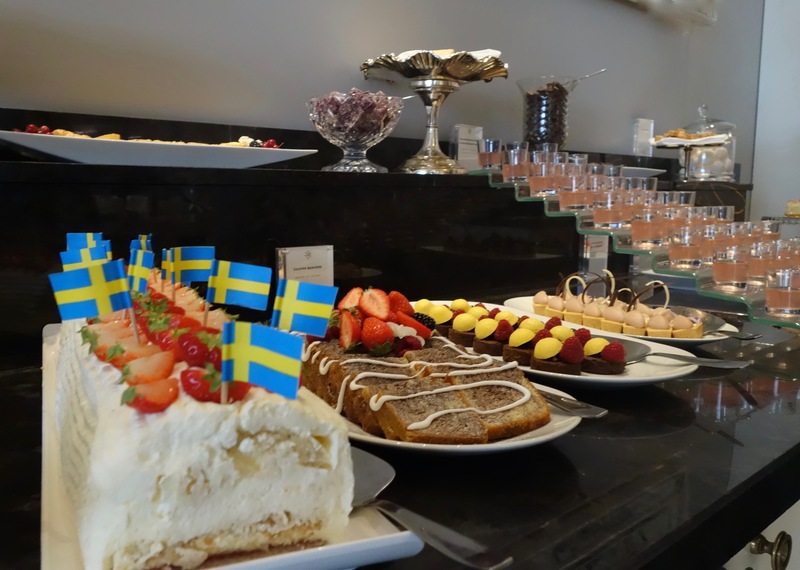 The dessert portion of a Swedish smorgasbord at the Grand Hotel. All photos copyright Sandra Carpenter 2016. OK, I admit it: I’ve been quiet on the blog lately. I could whine and say life’s been too busy, inspiration has been missing or give some other excuse. While all would be true, writing here just hasn’t been a priority of late. But I have been writing a lot. In addition to all the writing I do for my “day job”, I’ve also done some cool freelance stuff. 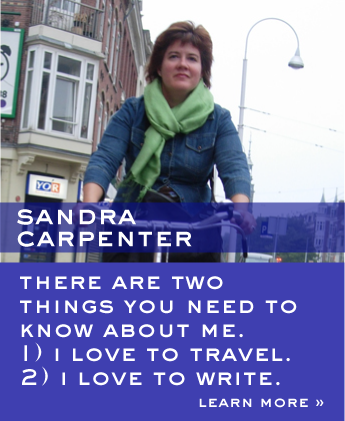 Click here to read my latest on Scandinavian Traveler. It’s about digital nomads and I really enjoyed writing this one. On top of it all, I performed in another six shows of Wild Minds. This time, we were in Berlin and it was a blast. Next stop will be at Stockholm’s prestigious Dramatic theater at the end of August. That will be a lot of fun, I’m sure. There’s also been some travel in the past few months and in addition to Berlin, I went to Copenhagen, London and Bergen, Norway. I suppose you could say that I’ve been enjoying the smorgasbord of life. So there’s a lot to get caught up on. 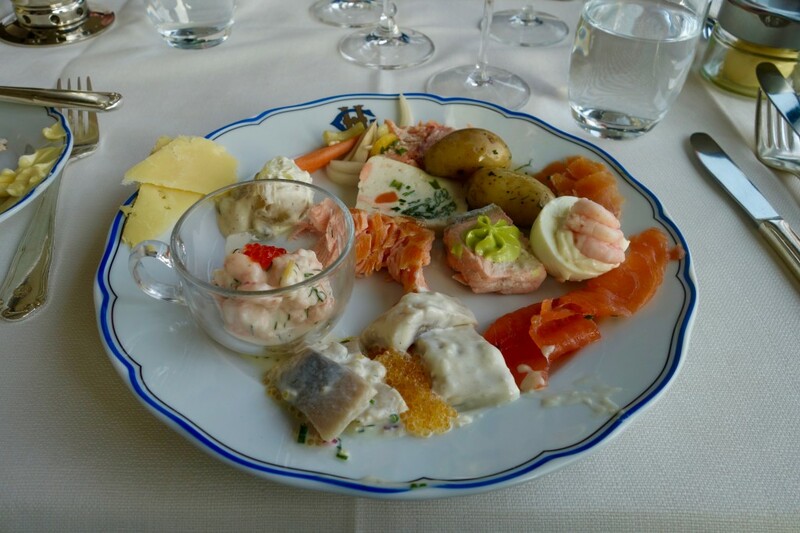 But I will play with that smorgasbord idea and tell you about the Swedish classic smörgåsbord that I went to at the Grand Hotel’s Veranda restaurant. This gorgeous hotel dates back to 1874 and it’s one of those places you go for dinner or drinks when you want to lash out. Of course, if you really want to go all out, you can stay there. We’ve only done so once, but it was a lot of fun. 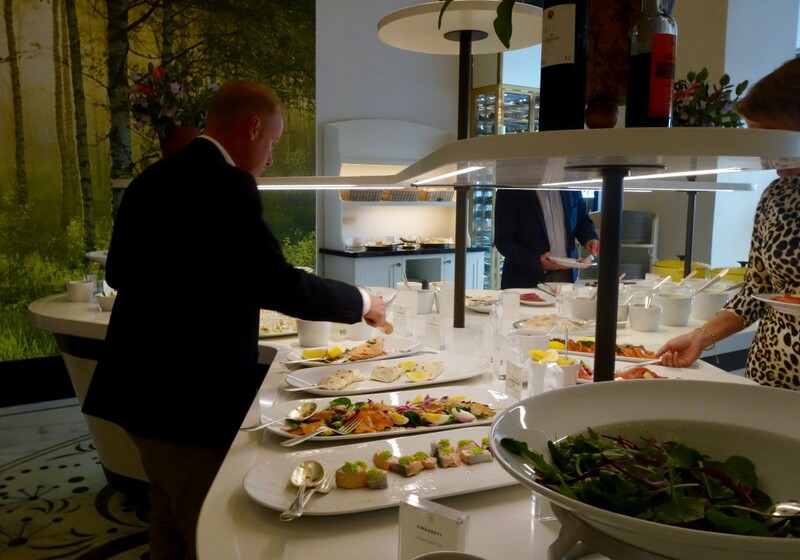 Anyway, the Swedish smörgåsbord is a buffet-style meal of four to six courses that is really just an excuse to eat a lot, sort of like an American thanksgiving. The word smorgasbord has been adapted into English with the same basic meaning. But the Swedish version has a typical line up of food and being Sweden, there is a typical order that you eat it all in. Keeping with tradition, we began with the herring dishes. We had them with potatoes boiled in dill. Then it was cheese, crisp bread and snaps. And then it was on to gravlax (marinated salmon), smoked salmon and other cold fish dishes. 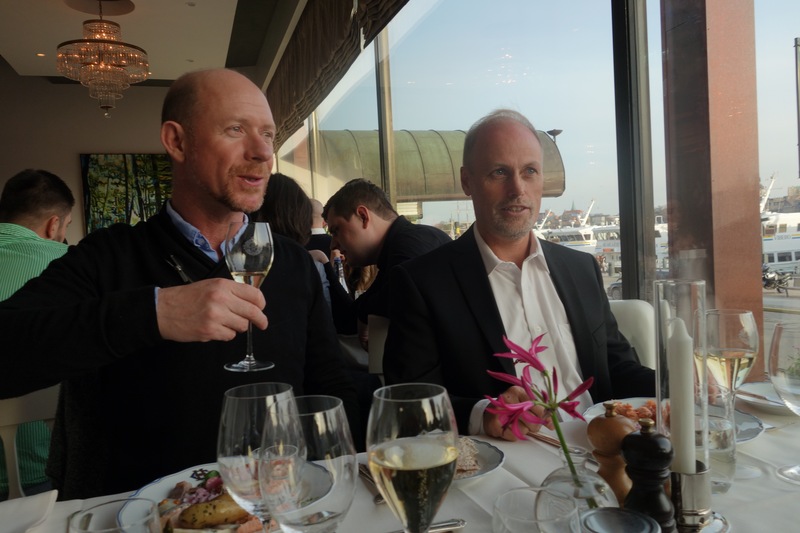 As you might expect, I was stuffed at this point. Nut I managed to have a few of the salads, egg dishes and cold cuts. After a long pause, we then sampled the warm dishes. There was more fish, of course, along with meatballs and Janssons frestelse (Jansson’s temptation) which is a casserole-type dish of layers of potatoes with anchovies, onions and cream. 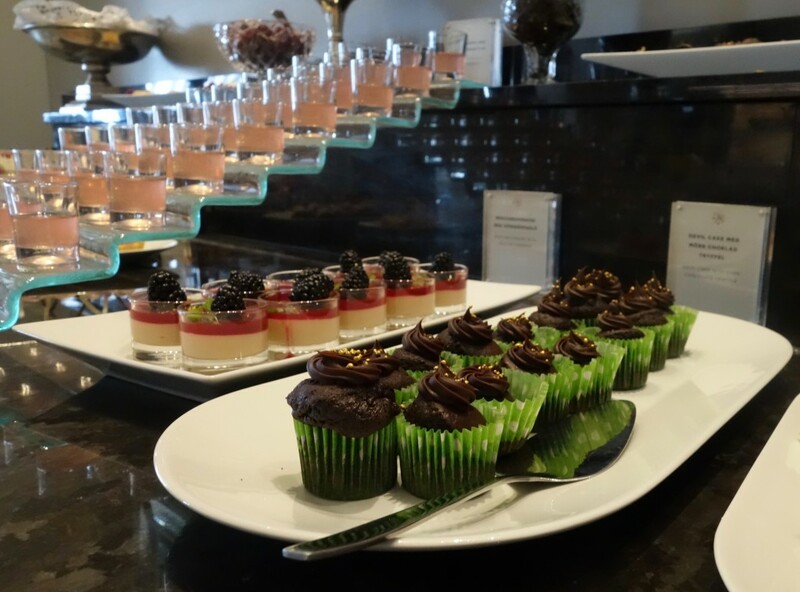 Then there was the amazing dessert buffet to check out. In spite of being full, I did manage to force myself to try several. When all was said and done, we ate for hours. It was a lot of fun, especially since it was the King’s 70th birthday and visiting royals from around the world were staying at the hotel. We saw a lot of gowns and tiaras! And anyway, it was good food with good friends. What’s not to like? A sampling of the fish dishes. Checking out just one portion of the buffet.